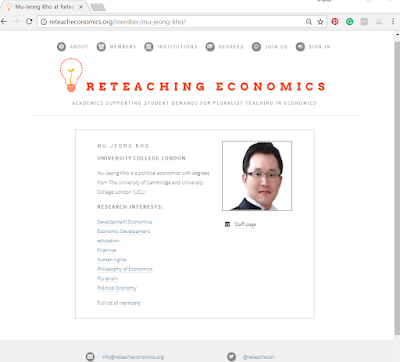 Recently, the Reteaching Economics Committee has warmly approved the IPEAD Chair Mu-Jeong Kho (academic affiliation: University College London) as the member of the network. 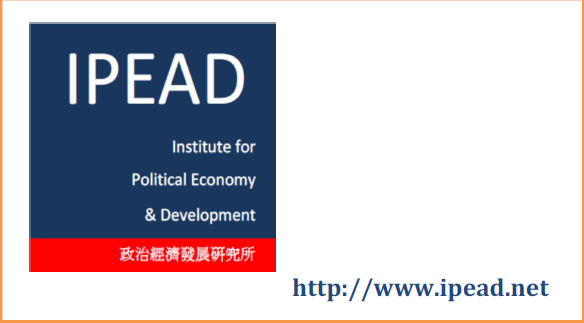 "We are a network of UK-based early career academics working for better university economics teaching. 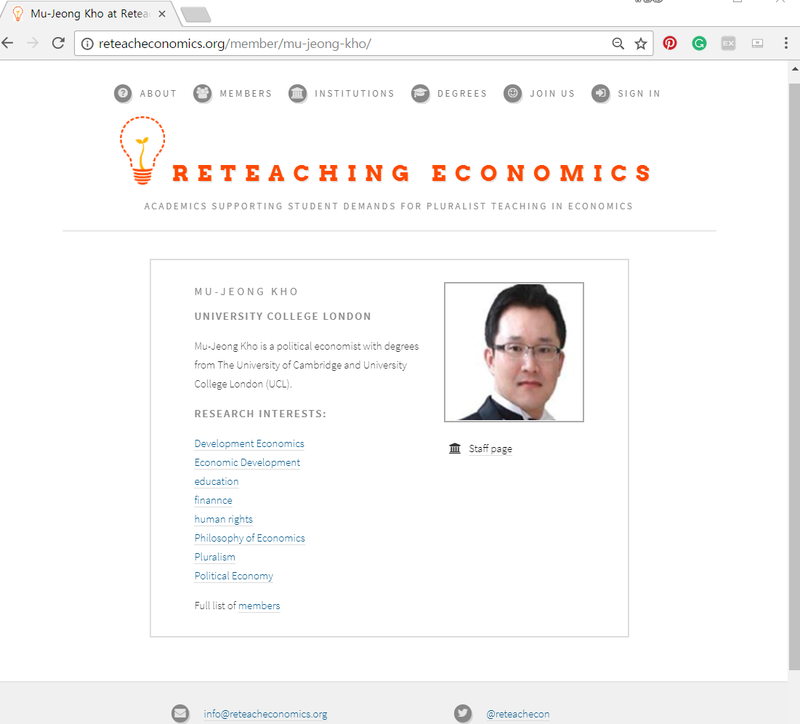 A small group of academics launched the organisation in early 2015—it is now a network with more than seventy members at universities across the UK.The aims of the network align with those of the Rethinking Economics students campaigning for change in economics curricula. We work alongside these groups while providing institutional support for early career academics committed to pluralism in economics.